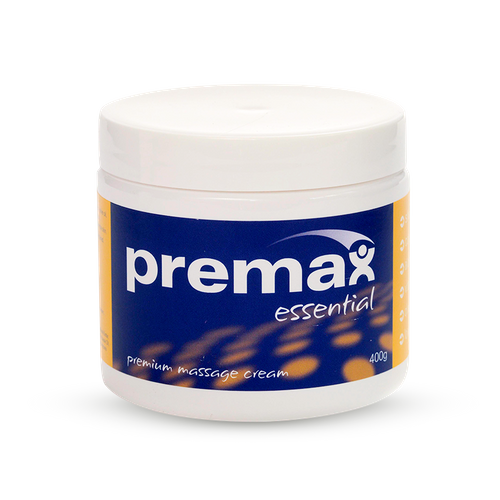 What’s special about Premax Essential? For a start it’s a luxurious, creamy-textured massage cream with a long list of ingredients that hydrate and condition the skin for both therapists and patients. 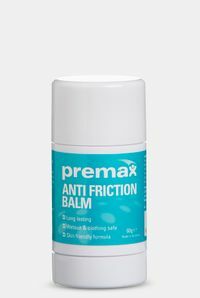 Just as importantly however, Premax Essential is a unique, effective massage cream with an ideal balance of slide and grip. It’s our all-rounder. If you’re a clinician, the medium resistance that this cream offers will give you the ability to perform a wide range of massage strokes in a variety of body regions without having to change your massage cream. Premax Essential will complement your manual skill, optimising your glide control, level of pressure, and feel. As a result, your treatment will be more comfortable and effective. 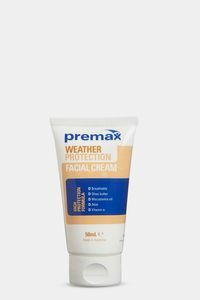 For those of you fortunate enough to be treated with Premax Essential, this cream will leave your skin feeling hydrated, conditioned, fresh and clean. Not greasy. There will be no need to shower after treatment so you can get back to the office, or hit training track straight away. Premax Essential will help keep your skin in great condition. This buttery, smooth but light weight massage cream blends in Vitamin E, Aloe Vera, Shea Butter, Cocoa Butter, Olive Oil, Sweet Orange Oil, Tangerine Oil, Ylang Ylang Oil, and Patchouli Oil. That’s skin and massage therapy in one! How should you use Premax Essential? 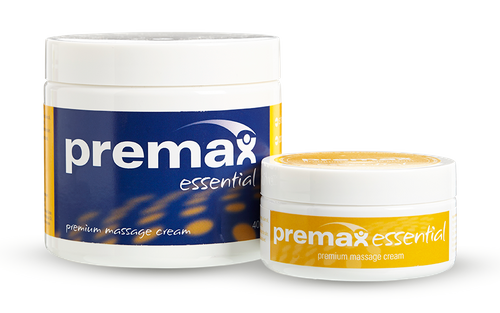 Premax Essential is an efficient, long lasting massage cream. If you’re working a small area, just enough to cover two finger tips should last an entire treatment. For larger areas, use a little more cream. This product works best when there is only a thin film of cream on the skin. Don’t use too much! If you’re looking for a product will more glide and slip, please consider our Massage Lotion. If you need more grip, our Original Massage Cream has a high resistance and will be your best choice. Premax Essential combines Beeswax, Lanolin Wax, Aloe Vera, Vitamin E, Magnesium, Castor Seed Oil, Sweet Almond Oil, Shea Butter, Cocoa Butter, Olive Oil, and a citrus blend of essential oils. The cream has a light refreshing citrus scent. Please store below 30°C and keep the lid on when not in use. Apply small amount evenly to skin and massage as required. If rash or irritation occurs, discontinue use. Since switching to Premax the feedback from patients and therapists has been fantastic. 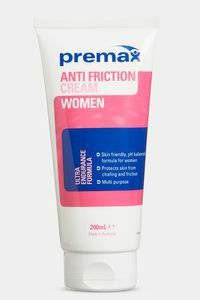 Having worked with different creams and lotions for 20 years I’m happy to say that Premax is the best. Great textures that don’t leave patients greasy. We now use the whole range and each product is excellent. Premax, love it. Great versatile creams for everyday clinic use for my work in elite sport. 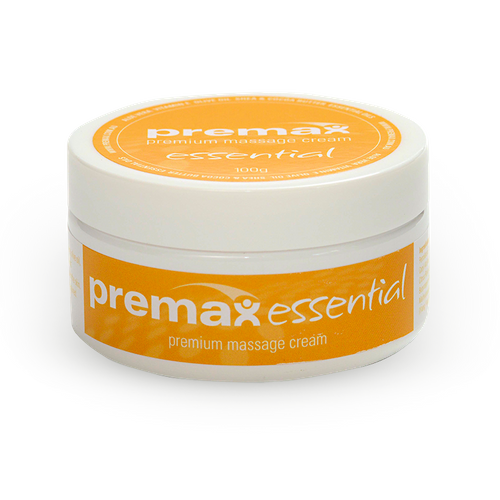 My preference, Premax Essential, is a smooth consistent product that glides on easily and provides a great medium for my massage work.